The expedited airport screening program TSA Pre-Check created by the Transportation Security Administration is aggressively expanding to more airports, with more lanes and more passengers by the end of the year, according to agency representatives. Operating in 92 airports across the United States, TSA Pre-Check is currently only available to members of frequent flier programs on seven partner airlines or the federal Trusted Traveler Program. But a new opt-in enrollment launching in November will allow any U.S. citizen to fill out an $85 application for membership and vetting. 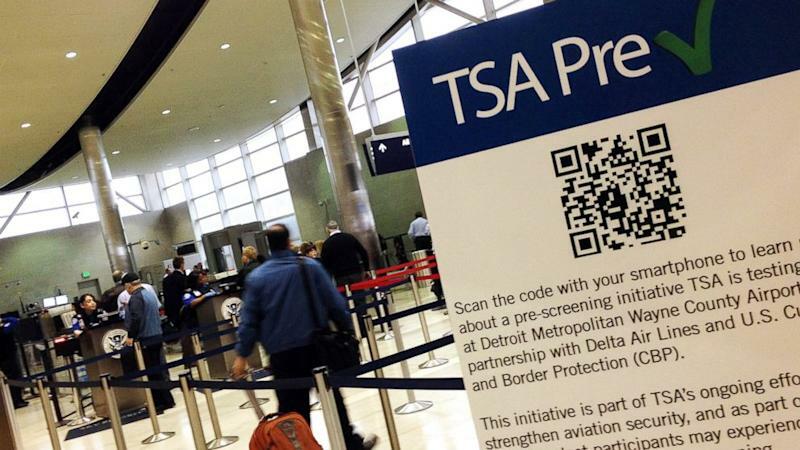 Additionally, the TSA Pre-Check plans to be in 350 airports by mid next year. "If you come in through the new enrollment process, the membership will be for five years across all carriers," a representative of the TSA said. For those who haven't yet sped through the service, TSA Pre-Check allows eligible travelers to forego removing shoes, belts, and lightweight jackets, as well as laptops from their cases. The shortcut also includes its own screening lanes and a stroll through an old-school metal detector versus standing inside a body-scan chamber. "Flight time 7:59pm. Arrive at airport with bags at 7:44pm? No problem! Thank you #tsaprecheck," tweeted one happy passenger a month back. "Luv not taking off my shoes and zooming thru security," posted another. While proponents of the program trumpet the chance to shave wait times and eliminate minor indignities, critics say TSA Pre-Check is too invasive when it comes to surveying personal histories. Eligible passengers who fill out an application, must submit proof of identification as well as fingerprints for background checks. "If you sign up, you'll want to keep your nose clean for the rest of your life," Gregory Nojeim, a director at the Center for Democracy and Technology, told The Chicago Tribune. "Because that's how long the FBI will keep your fingerprints." But TSA representatives that spoke with ABC News dismissed such statements. "The key word is that it's voluntary," the representative said. "If you don't want to do that, you don't have to. There is no invasion of privacy. We're offering people the opportunity for an expedited screening if they choose to join." More than 17 million travelers have experienced the program since it launched in 2011, according to the agency. Having first introduced TSA Pre-Check at Dulles International and Indianapolis International, the agency expects 100 airports will be fully operational by the end of the year. But even if one doesn't pose a security risk, paying for VIP service may be prohibitive. "$100??? Ok, #TSAprecheck is basically extortion, right?" tweeted one gentleman a month back, referencing the cost of enrollment via Global Entry. Still, if a traveler is disinclined to enroll, he or she may find themselves breezing through the line yet. A TSA risk-assessment program uses available information provided at time of booking to randomly flag nonmembers for Pre-Check from time to time. "The program allows us to spend more time looking for the people we know less about and focusing on whether they pose a threat and let others who don't get to their gate faster," the TSA representative said. "But we will always reserve the option for an advanced screening, if it appears necessary."